IntelliView Technologies Inc. has released the latest software update for its IIOT monitoring platform, the IntelliView Vision System (IVS) 5.0. The release applies to new and existing systems, including the dual camera analytic modules (DCAM), and constitutes backend upgrades for system detection capabilities as well as interface updates for remote event validation. The upgrade to processing engine efficiency enables the system to handle more complex analytic functions, such as cross camera correlation. 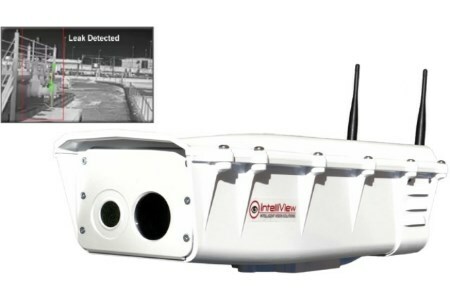 This translates to increased detection accuracy and further reduction of false alerts of the fully automated monitoring systems, which can instantaneously detect, qualify and report on user-defined events, such as above-ground liquid and wet hydrocarbon leaks, other hazardous liquids, security breaches, flare stack flame failures, and wildlife intrusions. “The expectations and dependence on artificial intelligence for automating condition monitoring operations are higher today given the performance standard demanded by safety-conscious operators and industries, such as oil and gas and mining,” says Chris Beadle, IntelliView vice president for sales and marketing. Other proprietary software technologies have also been incorporated in the SC to greatly improve a user’s ability to identify alert causes, confirm events as quickly as possible, and easily manage multiple alerts.